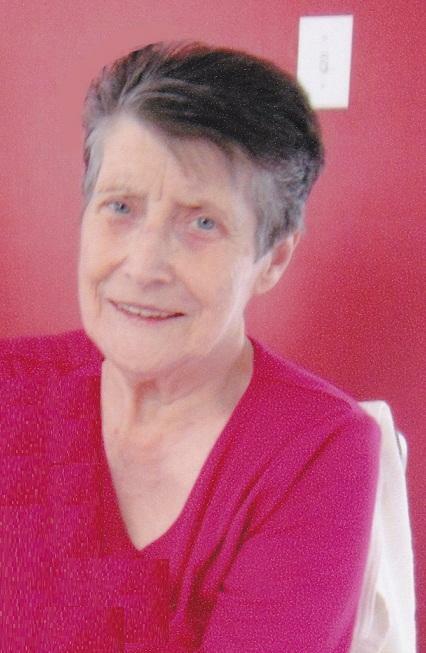 It is with great sadness that the family of the late GENEVIEVE MURPHY of Parker’s Cove announces her passing at the Burin Peninsula Health Care Centre in Burin, on Wednesday, June 12th, 2013, at the age of 75. Leaving to mourn with fond and loving memories Sons - Larry (Bernice) of Parker’s Cove, Lloyd (Sharon) of Edmonton, AB, Mike (Brenda) of Parker’s Cove, Ted (Cindy) of Brooks, AB, Thomas (Theresa) of Parker’s Cove, Norman (Beulah) of Gander, James of Parker’s Cove, and Boyd of Parker’s Cove; Daughters - Josephine Murphy and Tina Murphy both of Parker’s Cove; 15 grandchildren; 16 Great-Grandchildren; Brothers - Walter Vaters of Nova Scotia, James (Joyce) Vaters of Nova Scotia, Andy (Karen) Vaters of Gander, and Bill (Nancy) Withers of Nova Scotia; plus a large circle of family and friends. Pre-deceased by parents - Francis & James Vaters, Husband - Michael Murphy, and Daughter-in-law - Kimberley Murphy. The Mass of Christian Burial took place at Our Lady of Lourdes R.C. Church in Parker’s Cove, on Saturday, June 15th, 2013, at 1:00 p.m. Interment followed at the Roman Catholic Cemetery in Parker’s Cove. In Genevieve’s memory donations may be made to The Murphy Family. Funeral arrangements entrusted to the care of Wiseman’s Funeral Homes.